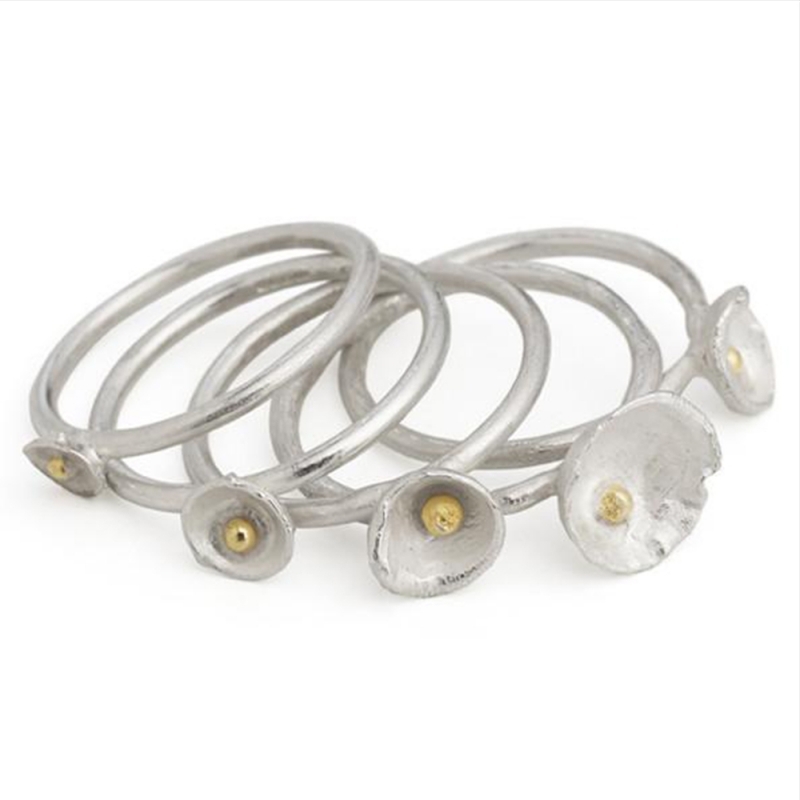 Referencing the natural world, and forms such seedpods, flowers and seashore finds, Shimara Carlow has crafted a delightful collection of 'Acorn Cup' pieces. You may select to stack either three or five seperate rings, which fit beautifully together. The graduated cups are made from .925 reticulated sterling silver which leaves a subtle texture on the surface, highlighted with 18ct detail. Available in a variety of sizes which are made to order. Please contact us if you would like this ring made in a size not listed. Measurements 5 x Cups; 9, 7, 6, 5, and 4mm. 3 x Cups; 9, 7, 6mm.